A member of the All Progressives Congress (APC) Board of Trustees (BoT), Ismail Ahmed, has expressed concern over the rift between the executive –legislature, describing it as a fundamental issue. He referred to some of the disagreements as being over exaggerated, stressing the need for checks and balances among the three arms of government. 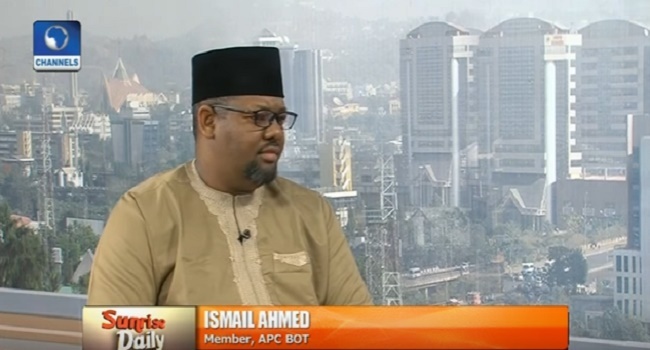 Speaking as a guest on Sunrise Daily, Mr Ahmed noted that such disagreement is not good for the growth of the party, insisting that the party is in-charge at both the legislative and executive level. He expressed confidence that the meeting between the President, Muhammadu Buhari, the Speaker, House of Representatives and the Senate President will smoothen the relationship between all the arms of government. President Muhammadu Buhari on Monday held a meeting with the officers of the National Assembly behind closed doors. The Speaker of the House of Representatives , Hon. Yakubu Dogara while briefing journalists said it was a routine meeting. He added that the impasse between the Legislature and the Executive is normal in democracy and should not be taken seriously. However, there has been grey areas in the relationship between the Presidency and the Senate. The grey areas include the summons of the Comptroller-General of Customs, Colonel Hameed Ali, (RTD); the rejection of Mr Ibrahim Magu as the Chairman of the Economic and Financial Crimes Commission (EFCC) and last week, the Senate refused to consider and approve the list of 27 Resident Electoral Commissioners sent by the President. Also last week, the Presidency set up a committee to meet with the leadership of both Chambers of the National Assembly to reach a compromise on the issues.